The United States' economic ills and sputtering employment landscape have done little to dampen college students' enthusiasm about living and working in the country. In a survey of 4,341 students across the globe, 19% of respondents said they would prefer to work in the U.S. post-graduation over any other country, according to Universum, a recruiting, branding and research firm. "It's still the dream to come to the United States, where there will be unlimited opportunities," said Melissa Murray Bailey, president of Universum Americas. Students gave a variety of reasons for wanting to make the U.S. their home if offered a job there. "I feel great affection for the country and I see great opportunities for growth," said one student. Meanwhile another noted, "It's the biggest economy on the planet and home of the biggest enterprises as well." Other English-speaking nations were among the most popular destinations. The United Kingdom came in second, with 12% of the vote, followed by Australia, with 8%, and Canada at 6%. Germany, also at 6%, was the top non-English destination, followed by France, Switzerland, Sweden, Japan, and Spain. Bailey attributed the dominance of English-speaking nations to almost-universal use of the language. "No matter where they're from, most students have had to learn English," she said. 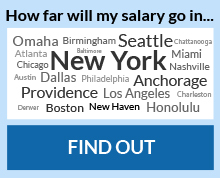 Among cities, New York topped Universum's list, with 15% of students saying they would want to relocate to the city if offered a job there. London, came in second with 11%, and San Francisco, Paris and Sydney all tied for third with 4% each. Others in the top 10 were Berlin, Stockholm, Hong Kong, Los Angeles and Singapore. The job prospects in most of these markets have not been very robust, but many students still thought opportunities were available in their field. Business students, for example, cited finance jobs as a reason to find New York and London attractive. IT majors named San Francisco because of all the software and dot-com companies based in the area. But there were a litany of other reasons students were drawn to these cities. New York's diversity, for example, makes the city a magnet. "[Students] know the city is not homogenous," said Bailey. "They think, 'In New York, even if I'm different, there will be a lot of people like me.'" Students also cited New York's culture, opportunities to network, and entertainment venues. Most students, though, focused on career advancement. "This city has more publishing houses than any other place in the world," said one pragmatic English major. London devotees mentioned its "awesome culture" and its history. They also noted its close proximity to Europe for travel. Those who preferred Sydney talked more about lifestyle: They liked the idea of living right near the beach. For Paris lovers, the city's beauty is the biggest draw. While some students just wanted to stay close to home, a vast majority were willing to pack up and go. The survey revealed that 95% would either absolutely or possibly be willing to work abroad. About a quarter of the students surveyed were from the U.S., who generally displayed less desire to live abroad, said Bailey. Meanwhile, foreign students regard a stint overseas as a "rite of passage," she said. Besides New York, San Francisco and Los Angeles, the other top 10 U.S. cities students said they would like to move to included Chicago, Boston, Washington, Seattle, San Diego, Atlanta, and Denver. Universum surveyed the students between October 2012 and January 2013. Their average age was 23.7 years and their most common fields of study were business (32%), engineering (20%), humanities (17%) and natural sciences (12%).